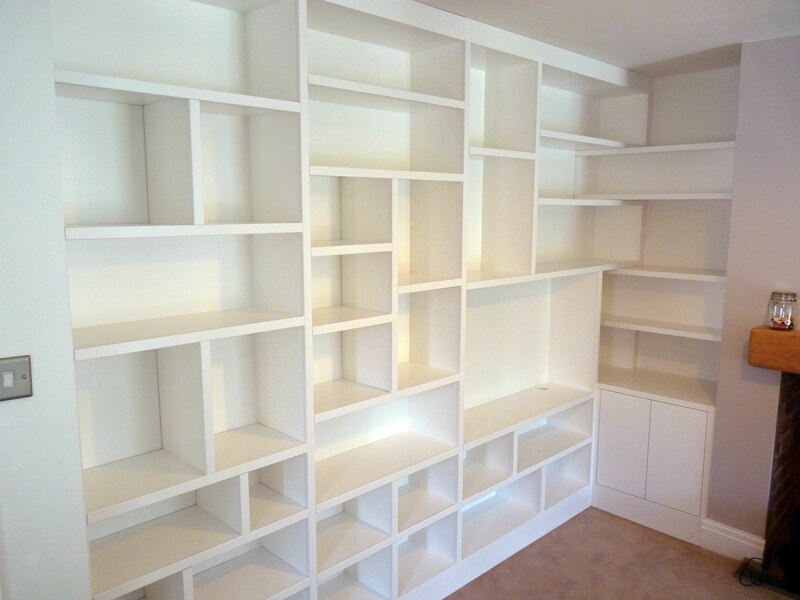 Shelving (32mm) over 3.25 metres with intergrated alcove cabinetry. Spray finished in a 30% sheen white. This entry was posted in Cabinetry, Internal Joinery and tagged alcove cabinetry, book casing, built in cabinetry, cabinetry, Fitted Shelving, lounge cabinetry, Random Shelving, Spray finished.